The symposium, titled “Screens, Genes and the Choices We Make,” was the third annual edition of the event put on by the Komen organization. Joan Lunden shared her story, moderated the evening, and reported live outside of a mobile mammography coach, an RV painted pink and equipped with 3D mammography equipment. The Denver Post covers Joan Lunden's keynote address at the Warren Village All Star Luncheon on Wednesday February 23 in Denver Colorado. Joan Lunden is in Houston visiting with Baylor College of Medicine oncologist Dr. Matthew Ellis, who received a grant in her name from the Breast Cancer Research Foundation for his work with triple negative breast cancer. NBC Affiliate KPRC's Health Reporter, Haley Hernandez, is on site with the story. The conference will close on Wednesday, May 3 with the Argentum 2017 Hero Awards Gala Dinner. Award-winning journalist Joan Lunden will host the event, where the industry will honor extraordinary individuals and innovative companies who are changing the future of aging in America. Susan G. Komen San Diego will explore the latest innovations in breast cancer screening and treatment at its third annual dinner symposium, “Screens, Genes & The Choices We Make: A Conversation on Research, Treatment and Lifestyle, presented by Bank of America,” on March 16, 2017 at the Del Mar Marriott Hotel from 5:30 p.m. to 8 p.m. Noted journalist and breast cancer survivor Joan Lunden will moderate the event. NBC Special Correspondent, Joan Lunden, has a special series called War on Cancer airing this week on the Today Show. She spoke with our health reporter, Haley Hernandez, about the series. Take a look. "25 Women Who Survived Cancer" is a book that compiles the experiences of some well-known cancer survivors, including newscasters Robin Roberts and Joan Lunden, actresses Patti LuPone and Fran Drescher. The holiday season is a time when many of us reunite with family we might not see often. This makes it the perfect time to connect and create a long-term plan for your aging loved ones. Joan Lunden shares 5 ways to successfully navigate these critical discussions with family. Joan Lunden will deliver a keynote address sharing her journey with breast cancer at BioNJ's 24th Annual Gateway Gala & Innovation Celebration on February 2, 2017 in East Brunswick, NJ. TV personality Joan Lunden discusses balance of work and family life for Town Hall series. She was the keynote speaker at a Women Helping Women event at Blue Ridge Community College in Asheville, North Carolina. ABC13 News shares a recap with pictures and video. Joan Lunden shares that she is grateful for the Breast Cancer Research Foundation at their Annual Symposium and Awards Luncheon at the Waldorf Astoria Hotel in New York City. Joan Lunden opened up about her battle with the disease to NBC 5’s Zoraida Sambolin in Chicago at the Lynn Sage Cancer Research Foundation Luncheon. Joan Lunden shares her personal perspective on how a cancer diagnosis has propelled her to become an advocate for cancer survivors and to recommit to health and wellness in her own life with Women Magazine. AMNY Interviews Joan Lunden before she speaks at a 92nd Street Y event to discuss latest breast cancer developments with Dr. Larry Norton, a medical oncologist at Memorial Sloan Kettering, Wednesday October 5, 2016. 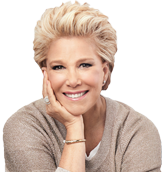 The Pardee Hospital Foundation announced today that former Good Morning America host, bestselling author and breast cancer survivor Joan Lunden will be the keynote speaker at the 19th annual Women Helping Women luncheon on Oct. 28 at Blue Ridge Community College in North Carolina. Joan Lunden may be best known for her 17-year stint as co-host on ABC's Good Morning America, but the journalist says her most important role may be that of helping her elderly mom. Here she shares her thoughts on how to intervene when an elderly relative needs help. The former co-host of Good Morning America, Joan Lunden, shares tips on staying connected as a long-distance caregiver and the importance of self-care. On May 4, 2016, Joan Lunden was the Keynote Speaker At the True Unite Convention in Indianapolis, IN. Here is a blog post was written by a guest at the convention, sharing her take-a-ways from Joan Lunden's speech.